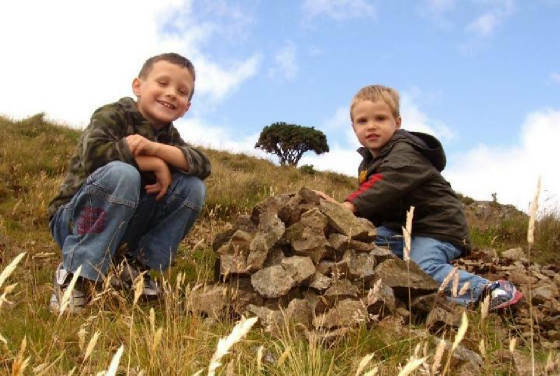 This project is the modern equivalent of those ancient cairns, dedicated to the ancestry of Calum Graham Paton and Jamie Christopher Paton, which comes predominantly from the Celtic countries of Scotland and Ireland. An old saying tells us that the Irish Sea is what links the two countries, rather than what divides them, and nowhere is this more apparent than in Calum's and Jamie's ancestry. 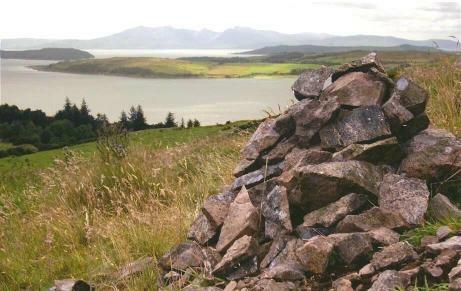 Many of their ancestors have crossed to and fro over the sea through the centuries. Some were Scots Gaelic speakers, many spoke in broad Scots, whilst others were fluent in Irish Gaelic, with recent generations all English speakers. Their political affiliations have constantly changed, as have their religious beliefs and practices. Calum's and Jamie's mother, Claire Giles, originates from Piltown (Baile an Phuill) in County Kilkenny, Republic of Ireland, with additional ancestry from County Tipperary. This webiste celebrates her ancestry, the boys' maternal line. The boys' father, Chris Paton, comes from Carrickfergus in County Antrim, Northern Ireland. But although from Ulster, his immediate ancestry spreads from Perthshire, Glasgow and Inverness in Scotland, and Belfast, Donegal and Derry in Ireland. For the boys paternal ancestors, visit The History of the Perthshire Patons website.